Ever since he could remember, Mr. Fisher was passionate about business and always had an interest in the innovation of entrepreneurship. From starting his first “lemonade stand” to establishing an online jewelry store and later owning and operating an iPod accessory franchise, Mr. Fisher was always thinking of new solutions to old problems. Mr. Fisher truly embodies an entrepreneur, a person who is not afraid of "disturbing the status quo", finding a solution to a problem while taking a risk. At the Fisher Law Group, we want our passion and motivation to drive you. Our firm is young, energetic, ambitious, and passionate about what we do. If… read more you want those qualities, then give us a call. 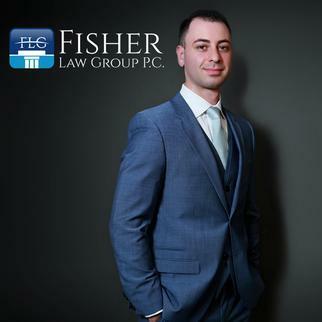 "I can't speak highly enough of the work Lowrance Fisher and Fisher Law Group provided me throughout the duration of my case. Mr. Fisher was very prompt in returning calls and was extremely knowledgeable. I would highly recommend this firm based on the exceptional representation I received. Thank you!" "The fisher law group have the unique ability to know what they want and go get it! They helped me to obtain a large sum of money that I didn't think was possible. They are very professional, and friendly. They have a unique ability to make you feel like you are part of their family. I am definitely going to stay in contact with this "multi-talented" team. You will be in the right hands."